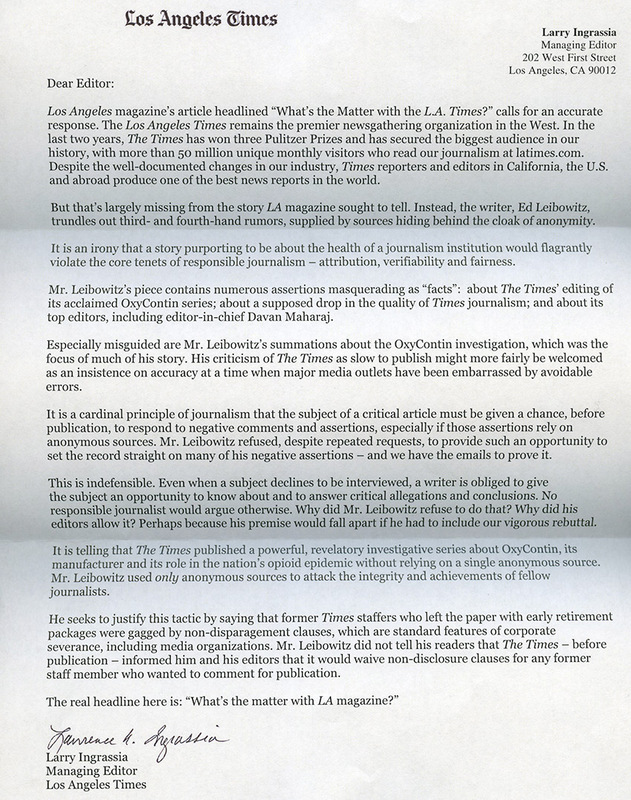 Since Los Angeles magazine published my article “What’s the Matter With the L.A. Times?” we’ve heard from many readers, including many current and former staffers at the paper whom I had not interviewed for the piece. Overwhelmingly, these editors and reporters described feeling gratitude that the kind of misguided leadership and personal attacks that they and their colleagues have suffered in editor/publisher Davan Maharaj’s newsroom had been finally brought to light. In his letter, Ingrassia makes many unsubstantiated allegations while attacking my integrity and the credibility of the piece. Notably, though, he does not contest any specific anecdote, assertion, or fact included in my account of the Times’ mishandling of a multipart investigative series on the prescription opiate OxyContin, nor, more generally, of the conduct of his boss Maharaj. He does not, for example, contest my reporting that Maharaj sat on the OxyContin series for months while offering no feedback to the three investigative reporters who wrote it; that Maharaj denigrated the reporters and their work to others in the newsroom; and that this treatment led two of the reporters to quit the Times before the series was published. Nor does he contest my assertion that Maharaj’s inappropriate remarks had created such a hostile work environment for women that two female editors working beneath him filed complaints with the Times’ human resources department. Ingrassia makes no suggestion that a correction of these troubling facts is warranted, nor of the dozens of others regarding Maharaj’s stewardship of the Times that were reported in the article. Duvoisin’s own reporting would prove shaky in this instance. Multiple newsroom sources have told me that, in the wake of his tweet, he was approached by a colleague present at those meetings, who confirmed the score sheet’s existence. Colleagues cautioned Duvoisin against spreading his false accusation any further. Regarding the OxyContin series, Ingrassia’s assertion that I “used only anonymous sources to attack the integrity and achievements of fellow journalists” is untrue. I was expansive in pointing out the achievements of the OxyContin team and other current Times reporters’ and story editors’ achievements all the more remarkable in the face of Maharaj’s mercurial leadership. 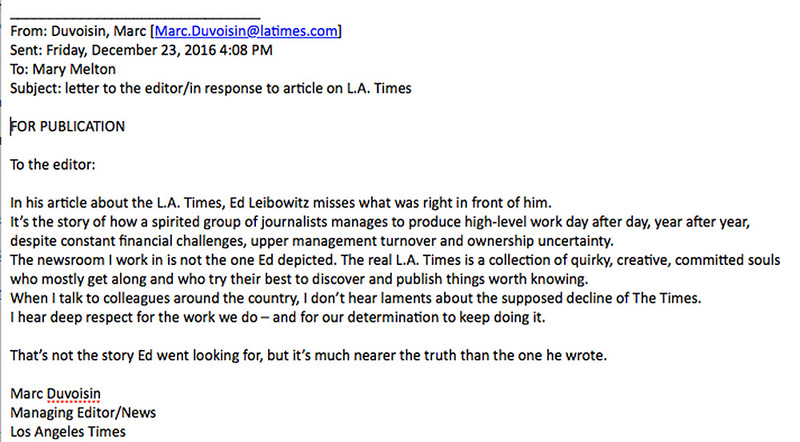 RELATED: What’s the Matter With the L.A. Times? 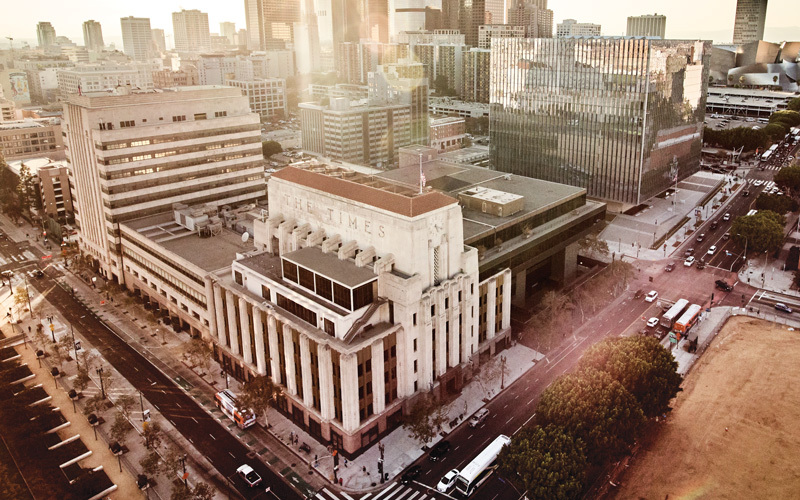 The L.A. Times’ inclusion of a non-disparagement clause in its buyout packages is an anomaly among major newspapers. Neither USA Today nor The New York Times demands that departing staffers promise to say only positive things about their former employer in exchange for severance payments. As I explained in the piece, the threat of legal retaliation meant many of my sources feared speaking on the record. I had given each confidential source my word that his or her name would not be revealed; the Times’ last-minute proposal to throw out its own gag order didn’t change that commitment. Nor could I have assured my sources that their former employer’s offer would protect them from legal action, given that Manning had expressly raised the possibility that that the Times might still sue them for slander. I find it utterly perplexing that Ingrassia would assert that Maharaj was not given the chance to respond to the story. Over six months, I asked and asked and asked to speak with Maharaj, approaching him in person at an event (he told me an interview would not be a problem) and then filing several requests with Manning, the Times communications officer. When that yielded nothing, I told Duvoisin how much I wanted to hear Maharaj describe the positive strides he believed the paper was making, as well as address negative assertions by former employees. None of these efforts resulted in an interview or an email exchange with Maharaj. Manning did provide a blanket statement from Maharaj just before our deadline, which I quoted in its entirety. “People who will be shown in an adverse light in an article must be given a meaningful opportunity to defend themselves. This means making a good-faith effort to give the subject of allegations or criticism sufficient time and information to respond substantively. Whenever possible, the reporter should meet face-to-face with the subject in a sincere effort to understand his or her best arguments.” I made every conceivable exertion to afford Maharaj the opportunity to respond substantively to the article. The excellent third installment of the OxyContin piece finally ran on December 18th, 2016 – eleven days after my piece appeared on line. In the closing days of the year, 19 days after Duvoisin attacked him as “lame,” Uberti of CJR heralded the OxyContin investigation as among the best journalism of 2016. The series is indeed Pulitzer-worthy material that was achieved in the most intolerable of circumstances. Here’s hoping that 2017 brings more such ambitious projects and that the Times’ top editors do everything they can to support their employees’ work, not hinder it.